Cluj-Napoca is one of the biggest and most beautiful cities in Romania. Situated in the well known region Transylvania, Cluj has always been on my travel destinations list. I’ve visited Cluj in January, just few days after the New Year, so for me it was a nice way to start my 2017. Winters in Romania are severe and travelling in January it’s the month when you test yourself “how long can you withstand the cold?” It wasn’t snowing yet in Cluj, but instead, you could feel a dreadful wind. Because of the weather, I couldn’t walk on the streets too much as I usually do when visiting a new city. Although, this way I discovered some interesting places where to eat, drink a tea or have a delicious dessert, but I’m going to talk about this later. 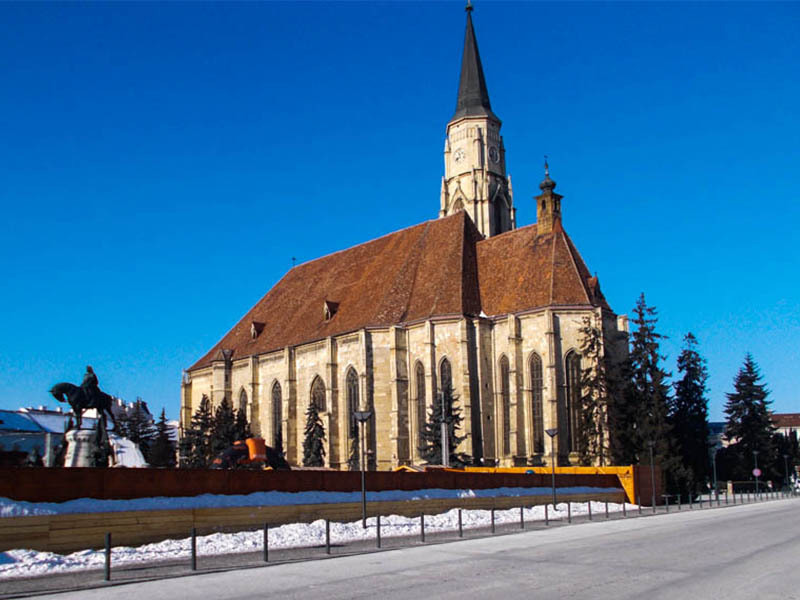 Dated from the early 14th century, the Church is one of the most representative monuments of the Gothic architecture in Transylvania. It is 70 meters high and it’s great that you can access the top of the church by stairs or the elevator. When you reach the tower, you will have a beautiful view of the whole city. 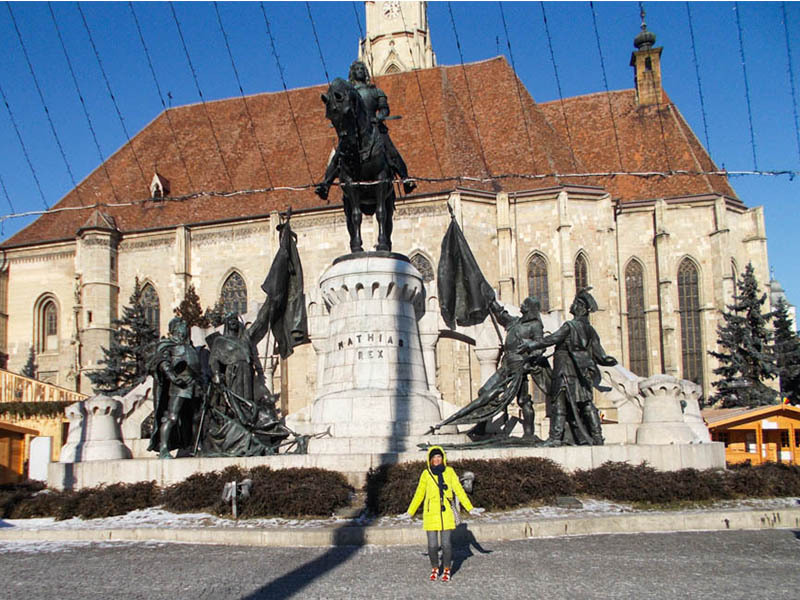 Just right in front of this beautiful Church, you will also see the Matthias Corvinus Monument. Built in the 15th century and rebuilt between 1627 and 1629, this is one of the few towers of fortification that has remained intact from the old stronghold. 3. The Art Museum of Cluj-Napoca, with a big collection of paintings, sculptures, graphic arts and decorative pieces, it is one of the most important museums in Romania. Unfortunately, I didn’t take photos, but you shouldn’t admire those paintings virtually, so go see them personally. 4. At this point I would just advise you to walk on the streets and get to know the center and the old city! Even if i visited it in January, at -15 °C (5°F), Cluj turned out to be a wonderful city. Here you will find a combination of medieval with modern, nice people and a vibrant nightlife, so no chance on getting bored. 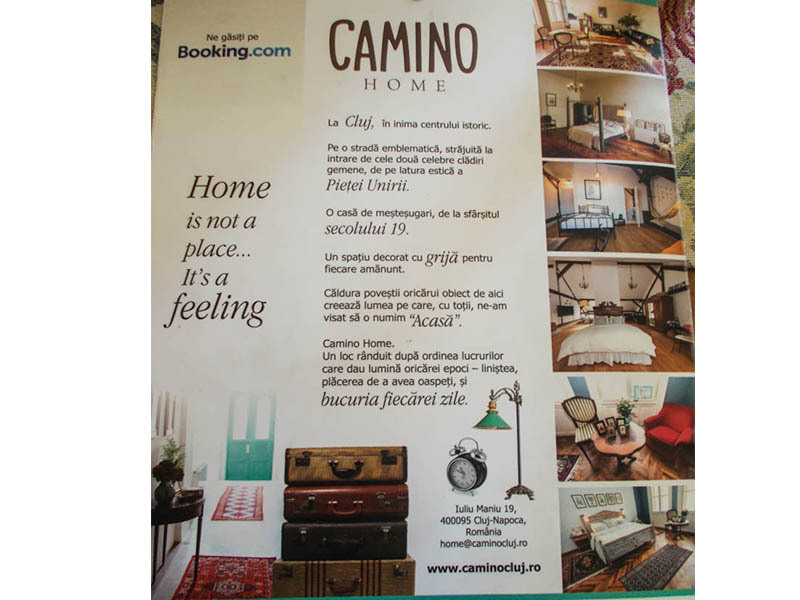 Camino, a place where you feel home from the moment you come in. The home-like themed interiors will make you feel warm and cozy. The food and the serving are very good. 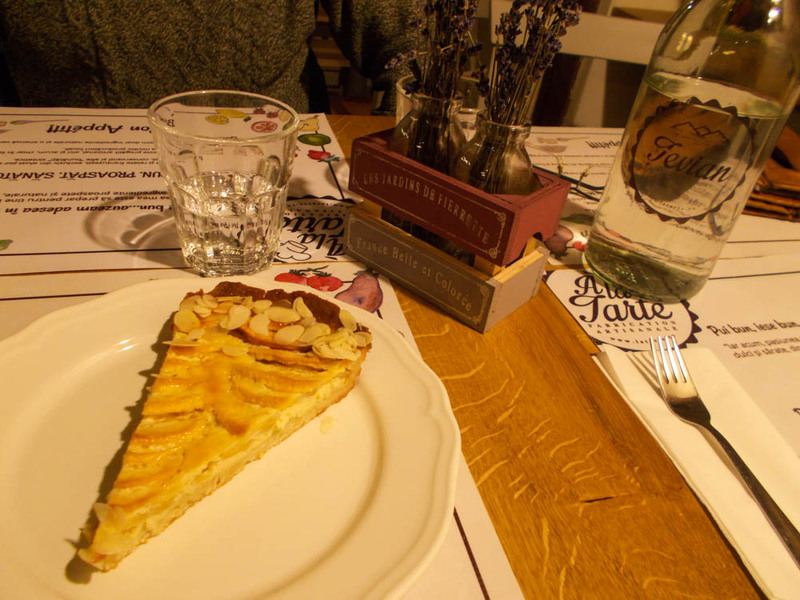 A la tarte is a small french bistro where you will definitely feel the Parisian air. Here is the perfect place to eat delicious pies. Everything is french style decorated : the music, the lavender, even the water bottle. I had the surprise to find books in French, in case you want to spend more time there. 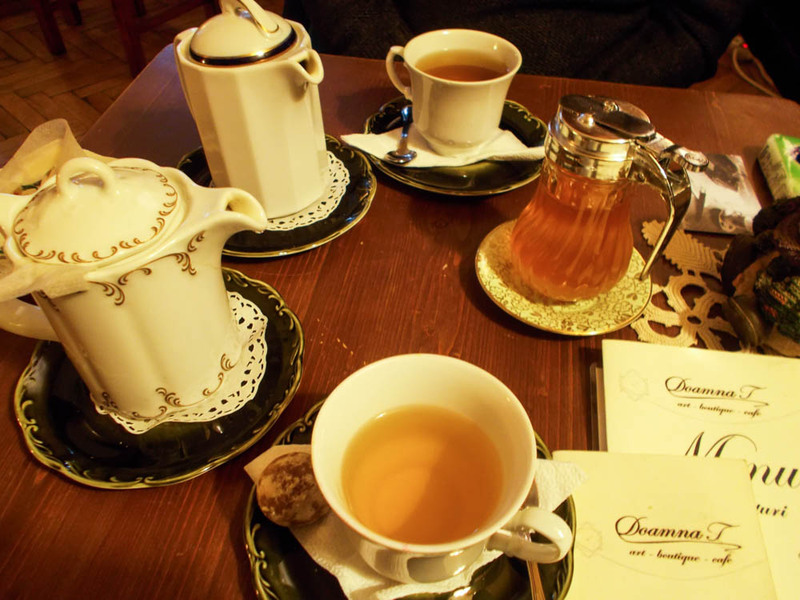 Madame T. (Doamna T.) is a nice tea house, with vintage decorations carefully arranged. When you’re freezing, the only thing you’re dreaming about is a warm place and a hot a tea, so this is the right place where to stop by. If you need to buy a gift, here you will find special souvenirs for your loved ones: books, jewelry, vintage objects. 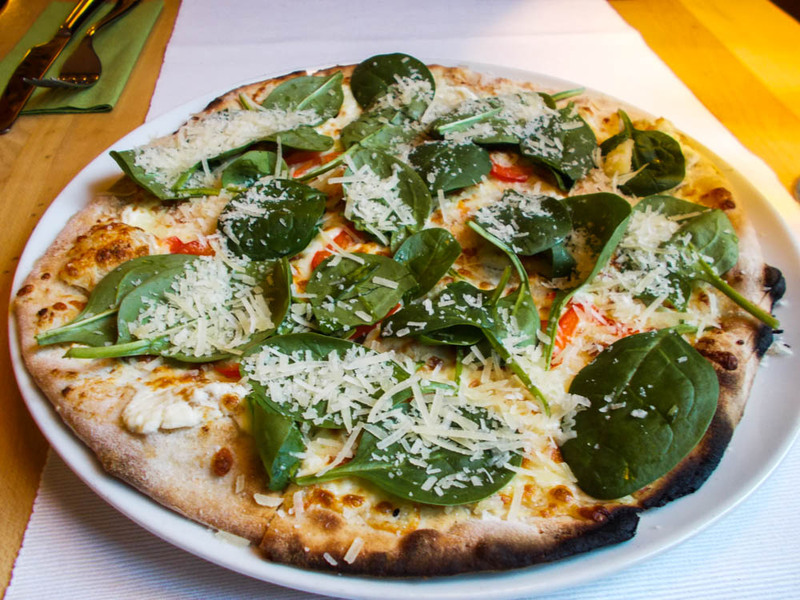 The very interesting part of the place is that an elegant, beautiful lady is serving you, exactly as you imagined Madame T.
Samsara Foodhouse, a vegetarian restaurant where you can have a nice dinner. 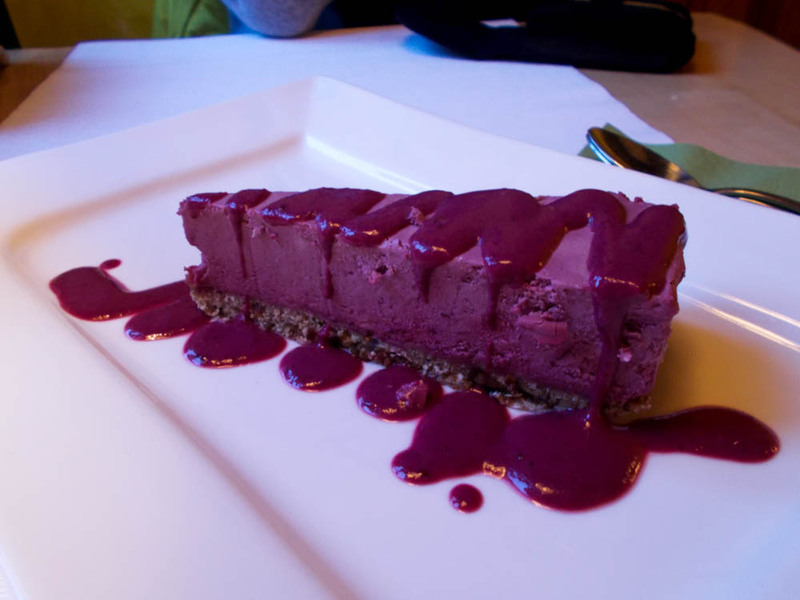 I ordered a vegetarian pizza and a raw dessert and they were very tasty. I already advised them to open another restaurant in Bucharest. 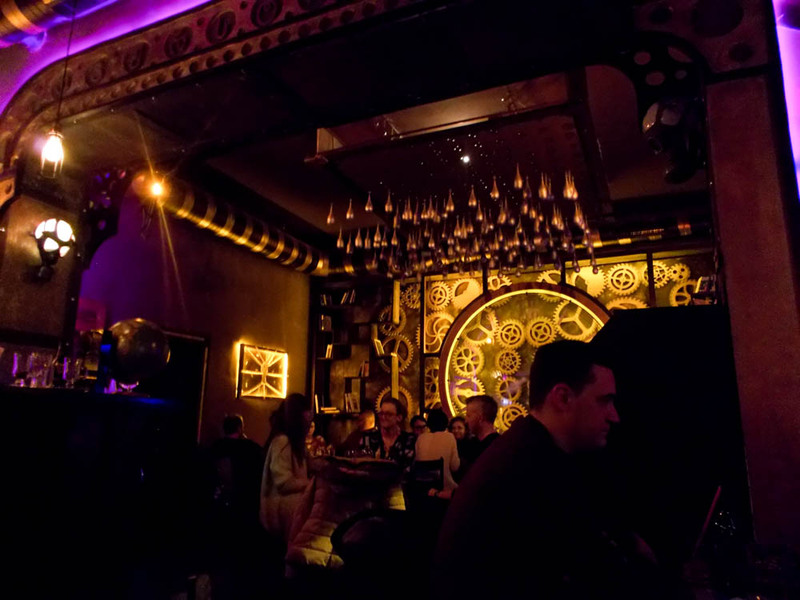 Enigma Cafe is a very interesting steam pub in Cluj and it’s filled with kinetic sculptures. It looks impressive either you’re into this sort of things or not. I would recommend it for anyone who wants to have a beer and admire something totally different. 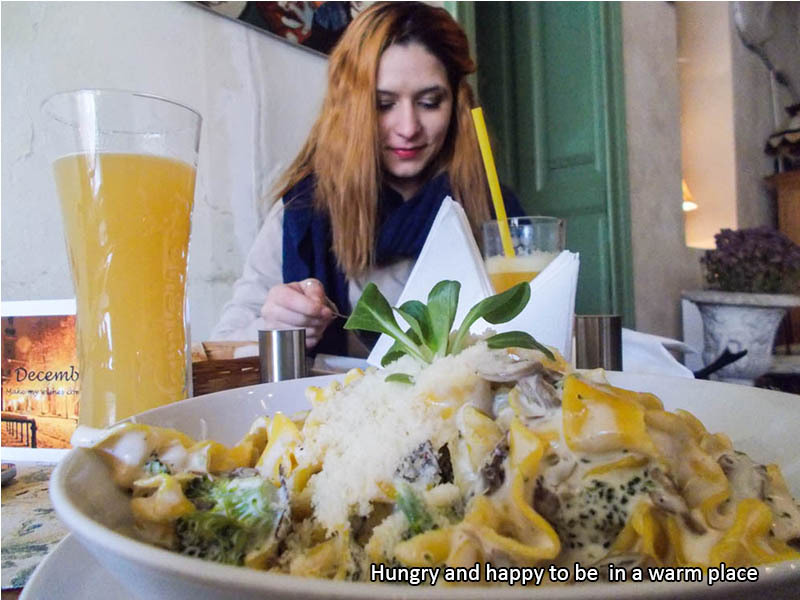 Cluj-Napoca has a lot more to offer then what I described in this article. 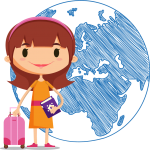 So, this is the perfect destination for any tourist: either if you’re into history and culture or you just want to have fun. 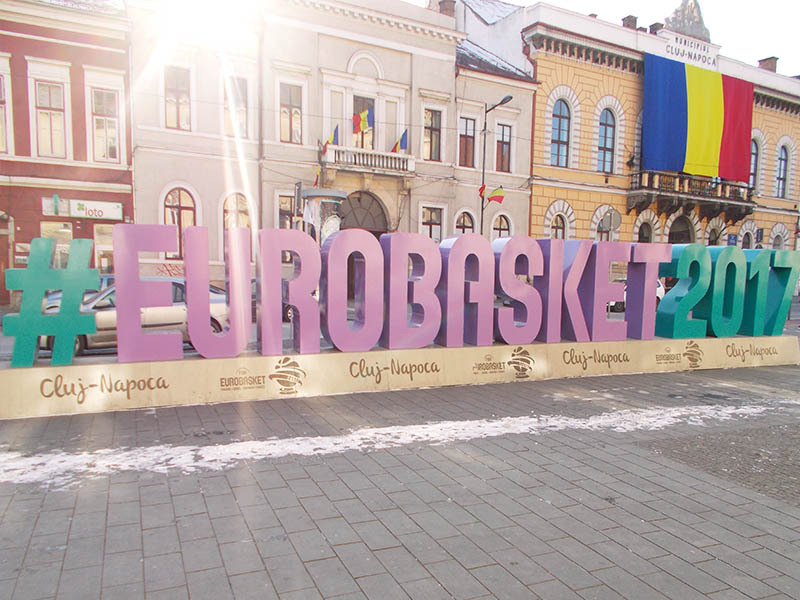 The EuroBasket 2017, the 40th edition of the Euro Basket championship was organized here. Big events like Untold and Electric Castle are also held in this city. Did I mention how cold was it?